One of the biggest events on the cryptocurrency horizon is the upcoming Ethereum network ‘Constantinople’ update. The latest scheduled update for the network contains a host of significant improvements. 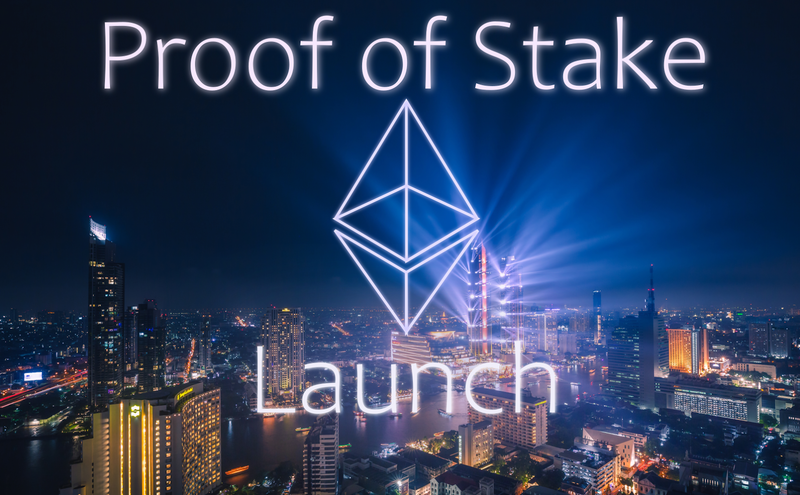 One particular change that has the potential to change the entire ecosystem is the introduction of Proof-of-Stake consensus to the Ethereum network. Ethereum going proof of stake is the equivalent of Volkswagen Group, the largest car manufacturing company in the world, ditching gasoline engines and going all electric. The event will be historic and be known as a terrific success issuing in the distributed consensus engine of the future. Or, a move too soon, and Proof of Stake may not quite be ready for the big leagues. It will doubtlessly be something to keep your eye on. In the electric car analogy proof of stake has already had great success on a smaller scale. There are multiple blockchains similar to Tesla. Fast, Innovative, and successful in by nearly any measure. Like Tesla, these new blockchains offer faster, more efficient, and generally superior products, like the model S compared to its gasoline counterparts. But there is a big difference between Tesla’s success of selling around 250k new tech cars in 2018, and VW’s success 6,244,900. Ethereum’s change to proof of stake will put the technology in the limelight where it can thrive our flounder on a massive scale. The long awaited upgrade that has been talked about and requested by a lot of people in the crypto-community will soon come to pass. Ethereum is going to have a network upgrade early this year (2019). They named this upgrade “Constantinople.” This upgrade is the introduction of the Proof-of-Stake (a.k.a. POS or Staking) consensus to ETH’s network and is said to have the potential to change the whole ecosystem. Ethereum has announced on their blog that the upgrade is set to occur on January 16, 2019 at block 7,080,000. This January 11, 2019, however, ETH Network announced, (visit ETH blog) that the Constantinople upgrade is postponed, due to a security vulnerability that was identified by ChainSecurity on January 15, 2019. Both ChainSecurity and TrailOfBits actually can’t find anything about the issue in the wild, But, because the risk is ‘non-zero’, the delay is still necessary to make sure that there is zero risk for successful attacks. The new fork is estimated to occur around 2/28/19. We will all see the first stage of Ethereum’s transition to (PoS) Proof-of-Stake consensus on the Constantinople update, EIP 1013, Constantinople. This was a proposal to EIP (Ethereum Improvement Proposals) by ‘Nick Savers’. If you want to become a validator, you need to stake 32 ETH within the smart contract. This reward is for contributing to the network by staking your coins / tokens. The estimated reward is 1–5% per annum. Buterin indicated that It will most likely be closer to 5% than 1%. If a validator acts maliciously or decides to attacks the system, his PoS coins will be used to pay for the penalties. These numbers were calculated assuming that 30% of the all the tokens in circulation at any time will be staked. So, Ethereum’s staking profitability is linked directly to the percentage of users that would stake their ETH. Vitalik Buterin discussing PoS architecture at the Ethereum Developer Conference in Toronto, 2018 Penalties for malicious behaviour as a validator, usually in the form of conflicting votes, can range from ~1% to 100% of staked tokens being forfeited to the network. Migrating to the PoS environment exclusively will not be immediate. Which means that for at least 12 months, ETH would still be mined under the Proof-of-Work (PoW) consensus. Block rewards for miners will be reduced by one third, reducing the incentive to dedicate power hungry hardware to the network. This is a direct solution to the problem of energy waste, often cited as one of the biggest drawbacks of cryptocurrencies. Proof of stake on the other hand, uses insignificant amounts of electricity relative to proof of work. If you already have Ethereum, the switch to proof of stake can be a profitable endeavor to earn some interest on your existing holdings. If you technically competent the process should be well documented and not hard. However, if you are not the best with running an Ethereum node or tech stuff, it doesn’t mean you can’t participate. Once can reasonably guess that many staking services will step up to the plate and stake your Eth for you in a pool so you can get the rewards without any technical requirements. While it’s always better to hold your own keys, the risk/reward of staking in a pool can sometimes be beneficial and is a decision you will have to make for yourself. TopStaking.com will keep up to date on the Ethereum proof of stake Launch and update our blog regularly. If you want to make sure and keep up to date follow us on twitter, steemit, facebook. For more information on the Ethereum network you can follow lead developer Vitalik Buterin on Medium, or stay tuned to the PlayChip blog where we’ll continue to bring you all the latest news and developments in the cryptocurrency industry.